news iiNet’s highest profile technology executive Greg Bader has added his name to the growing number of staff departing the national broadband provider in the wake of its acquisition by rival company TPG. Bader served as iiNet’s chief technology officer from 2003 through 2012 and became one of the most public faces of the company, alongside founding chief executive Michael Malone. He shifted into a role as iiNet’s chief business officer in May 2012, leading the company’s expansion into providing services for businesses, and also served as a director of the now-defunct Internet Industry Association. 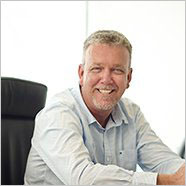 However, a number of media outlets including Crikey have reported over the past several weeks that Bader had left iiNet in the wake of the company’s acquisition by TPG, and the executive has now updated his LinkedIn profile to note that his role at iiNet finished in September, and that he is now on a ‘Horticultural Sabbatical’. Bader is far from being the only senior executive to have departed the company over the past several months. TPG immediately reportedly turfed iiNet’s chief executive officer David Buckingham following the acquisition, as well as its board. The company also dramatically shook up iiNet’s relationship with Internet television platform FetchTV and dumped South Australia-based technology public relations agent John Harris from his contractual role with iiNet and Internode, which had lasted for the past 15 years. The West Australian newspaper has also reported that chief operations officer Maryna Fewster and chief financial controller Ben Jenkins had also left. However, more junior staff may be facing a more certain future under TPG. TPG told iiNet staff shortly after the acquisition that it would maintain the iiNet and Internode brands as well as the pair’s call centre operations. 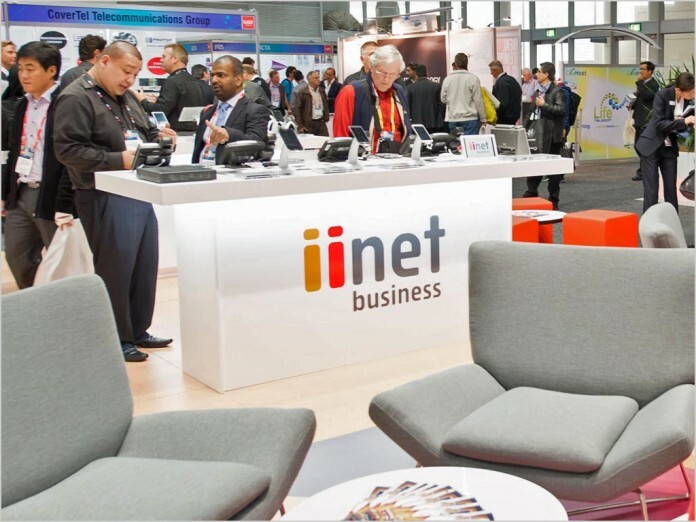 At its most recent annual results session it noted it would change iiNet’s product set, as well as consolidating and improving its IT systems. TPG’s acquisition of iiNet ends one of the most successful runs by an Internet service provider in Australia’s telecommunications market. iiNet was one of Australia’s best-loved broadband providers. Famously founded by entrepreneur Michael Malone in his garage back in 1992, the company had earned a reputation for solid network and customer performance, as well as innovation and challenging the dominance of Australia’s largest telco Telstra. Along the way, iiNet itself swalled dozens of other smaller companies, including sizable concerns such as Internode, Westnet, Netspace, OzEmail, Adam Internet and more. I’m sad — but not surprised — to see iiNet loyalists such as Greg Bader leave the company in the wake of the TPG acquisition. This is pretty much expected, given the fact that the cultures of the two companies are so radically different. For many iiNet staff, it will feel like a logical time to jump ship. Anyone who believes/hopes that TPG would continue to operate iiNet in the same spirit of customer service would do well to remember that corporate culture is a top-down phenomenon – if you replace those at the top and change the focus of senior management, culture and philosophy changes throughout as staff have completely different criteria to meet. iiNet will continue to exist in name only. Interestingly, I’m an iiNet customer on ADSL at home, and the other day I was downloading some ISOs via bittorrent when I noticed that performance was about half the usual. Then I remembered that I hadn’t turned off the VPN *smacks head*. So I switched that off and expected bandwidth to double, but as it climbed after reestablishing the connection it topped out at about 50kbps. Now I was in a hurry, so I didn’t do exhaustive testing, but it was a bit concerning – I left it for 10mins with no improvement, so reconnected the VPN and performance climbed back up to around 400kbps (still around half what it should be without the VPN bottleneck on this connection). Again, I didn’t do exhaustive testing – I only use bittorrent a few times a month. But the possibility that they might be throttling bittorrent traffic is very concerning. I note that Internode’s Speedtest.net mirrors have disappeared as of the acquisition (literally within a day or two), too. It seems to me that they’re doing a major rationalisation of their network. I wonder just how finely they’ll slice it – paring it back to extract maximum efficiency will invariably result in significant contention going forward. I’d be more inclined to expect contention and or congestion to be the cause, at the time of your observance, rather than TPG suddenly impacting iinet’s ability to provide a service. Also if you have a VPN tunnel established; then break it, there will be stale connections over this, which may attempt to reconnect over the (now broken) tunnel and fail, leading to delays. Not only that, but DNS resolution may be impacted for a period of time until the local cache expires records (and thus refreshes from the changed DNS servers) providing answers that may be more suitable for where the VPN terminates, not local. So, several valid reasons. None of which involve TPG being jerkwads and ruining your internet experience. Yes, TPG are swinging the axe. And I am sure a few folks at iinet/ Internode are deciding it’s time to move on, rather than wait to see if that decision has been made for them. As I said, I didn’t have time to do exhaustive testing, but switching between VPN endpoints gave expected results (Sweden was about 20% slower than the UK, the USA about 15% faster) but disconnecting the service altogether killed performance. Sure, a reboot may have fixed it, stale records could have caused it, but I’ve never seen it act like this before, so thought it was worth mentioning. Such a revelation would simply be consistent with the behaviour of lots of ISPs trying to optimise their networks in the absence of network neutrality legislation – it’s hardly tinfoil hat conspiracy theory territory, and suggesting such is a disingenuous attempt to shut down discussion by suggesting that the very idea is unreasonable and a bit crazy. Such a revelation would simply be consistent with the behaviour of lots of ISPs trying to optimise their networks in the absence of network neutrality legislation – it’s hardly tinfoil hat conspiracy theory territory, and suggesting such is a disingenuous attempt to shut down discussion by suggesting that the very idea is unreasonable and a bit crazy. I am doing nothing of the sort. Unsubstantiated claims TPG has instituted P2P filtering at iiNet, are just that. I’ve experience the occasional hiccup with services via Internode, as iiNet took over as well. But I didn’t jump to the immediate theory that they were purposefully impacting a specific service. Until I see multiple occurrences of an event, that show a systemic issue, I’m going to suggest it’s not illogical to start with the expectation that there are a plethora of other potential causes and some of those should probably be discounted first. Such as changes in DNS, routing and ‘walking’ IP addresses (where peers are seeing your external address change between one via a VPN, and not). There are a heap more. TPG are working through an acquisition; even at the speed they are going, it would take some time to implement changes to infrastructure that would de-prioritise P2P. My point is suggesting this is the first cab off the rank, rather than considering other forces first, is “disingenuous” at best. I do have every expectation that there will be network changes in tandem with structural changes; it’s inevitable. But I think it’s a bit early to blame hiccups on TPG, without considering other factors as well. None of which has any logical link to “shutting down conversation”. I don’t think TPG even do anything special with torrent traffic? I think there was 1 ISP which did try throttling and I forget which one that was now. I know iiNet have been accused of it in the past well before MM left. He’s leaving with an $8.7M cheque – I’m sure he’s not that sad. His redundancy and vesting of shares was reported in The Australian 2 weeks ago.